Think Your Staffing Firm is Competitive? Take This Test to Find Out for Sure. Lots of staffing owners and execs will tell you that their firm is highly competitive, when it’s not. 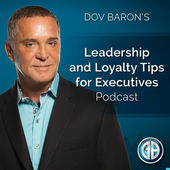 In this podcast, I share a story of one such exec. I also walk you through The Competitive Test. By answering these 10 questions, you’ll learn the level of your competitiveness compared to other firms and know what to do next to make improvements. Success in the staffing and recruitment business hinges on leadership. Yet, building and maintaining a strong leadership team is a constant challenge for many firms. In this conversation with Lisa Maxwell of Gerard Stewart, you’ll hear concrete advice and actionable steps that will strengthen your executive leadership team and also boost the quality of your entire firm’s management. It’s not often you’ll hear me say the words, “Be greedy,” as advice for salespeople in staffing and recruitment. But I just did in an interview. And it wasn’t about money. Hear this and more in this recent guest appearance I made on the Secrets of Staffing Success podcast put out by Haley Marketing. Every leader has to drive some type of change from time to time. Because changing things makes people uncomfortable, it’s common that leaders are viewed negatively, even when whatever is being changed is in the best interest of everyone. In this podcast, I walk you through three simple change management steps. By following these, you’ll no longer be seen as an “a-hole” and instead be viewed as an A-player by the very people impacted by change. Every single candidate you work with as a staffing or recruiting professional can become a deal. In this podcast, I walk you through the three steps to make this part of your strategy. This is the ninth in a series of podcasts on Heroic Partnerships (the first through eight podcasts in the series can be found here). Joining me for this session is Susie Dietrich. Susie is a principal owner of TOPS Staffing LLC, AllTek Staffing and Resource Group Inc., e-Staff Consulting Group, AccountStaff Inc., Sterling Office Professionals, and TVS Inc. She’s also the current Chairman of the Board of Directors of the American Staffing Association. An entire chapter of my my book, High Velocity Hiring, provides more details on how to create Heroic Partnerships. Visit the book page for more information. This is the eight in a series of podcasts on Heroic Partnerships (the first through seventh podcasts in the series can be found here). Joining me for this session is Lisa Pierson, President of Kimco Staffing Services. Since 1986, Kimco has helped 212,000 people find employment in California. Lisa and I discuss important elements that help create a Heroic Partnership, including giving customers options, excellence in communication, and how to protect the relationship. 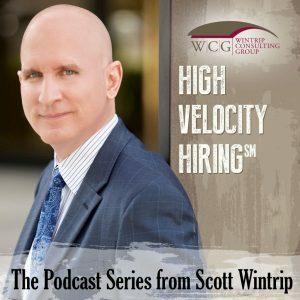 An entire chapter of my forthcoming book, High Velocity Hiring, provides more details on how to create Heroic Partnerships. Visit the book page for more information. This is the seventh in a series of podcasts on Heroic Partnerships (the first one can be found here, the second here, the third here, the fourth here, the fifth here, and the sixth here). Joining me for this session is Threase Baker, President of ABBTECH Professional Resources. Based in Virginia, ABBTECH is one of the most successful woman owned business with over half a century of cumulative work experience in temporary/contract, temporary/contract to direct hire, and direct placement services. During our conversation, we explore the importance of feedback, the value of boundaries, and much more. One of my favorite parts of this podcast is when we discuss how to be inquisitive, then prescriptive, and why this is different from many staffing relationships. This is the sixth in a series of podcasts on Heroic Partnerships (the first one can be found here, the second here, the third here, the fourth here, and the fifth here). Joining me for this session are Dan Campbell, Founder and Executive Chairman, and Larry Feinstein, CEO, of Hire Dynamics. Headquartered in the Greater Atlanta area, Hire Dynamics is ranked as the #1 Best Staffing Company to Work For in the U.S. The company operates out of 10 branch offices and 16 on-sites throughout the country that deliver workforce solutions to their clients.